Joe and Alyse Quinn, husband and wife and co-founders of Big Vision, first met while salsa dancing. At the time, they were both pursuing their MBAs and Joe, who according to Alyse, was a very talented dancer, swept her off her feet and the rest is history. What follows is an inspirational story about a husband and wife team that pursued their dreams with unrelenting determination and a vision, a Big Vision, for how those dreams would unfold. Both had worked in creative environments, gaining invaluable wisdom and experience working with clients and developing strategies, but neither Joe nor Alyse were creatives by trade. They were determined that in order to create a true, modern creative agency, they would need to surround themselves with talented people that shared the same level of passion and drive for delivering excellence. 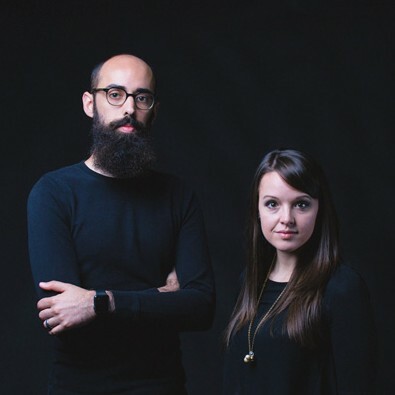 Since Big Vision was founded in 2014, Joe, Alyse, and the rest of the team have worked hard to set themselves apart from other creative agencies. For one, the company wasn’t founded by a designer or developer with a production background, a common story in the industry. Rather, it was all about delivering their work within sound business strategy from the beginning. Also, there aren’t a lot of husband and wife teams. Joe and Alyse have a very strong and sustainable partnership that’s built on a foundation of treating people well and a genuine dedication to building the company, the team and the Orlando community. They focus on delivering the highest quality work at the most competitive rates possible to passionate and driven business owners. The Big Vision team thrives on creating award-winning work to help their clients move forward and become champions in their own industries. From content, design, tech and more, Big Vision’s philosophy is simple: By unifying their client’s brand through a combination of product, experience and marketing, they’re able to turn apathetic customers into advocates.